A Thunderbirds Pinball machine that was donated by ITV for an industry lunch has helped to raise over GBP5,000 for industry charity, The Light Fund. The machine was won by Samuel Alexander, licensing manager for FMCG and promotions at Viacom Nickelodeon Consumer Products. The Light Fund is an industry wide charity body that raises money to fund worthwhile charity projects to help children, women and men. 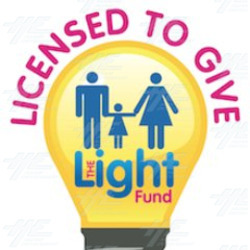 With a like-minded group of people from the UK licensing industry, The Light Fund committee was formed in 2004 and has been fundraising ever since. The LIGHT in The Light Fund stands for Licensing Industry Giving Help Together, and more information about this charity can be found here.